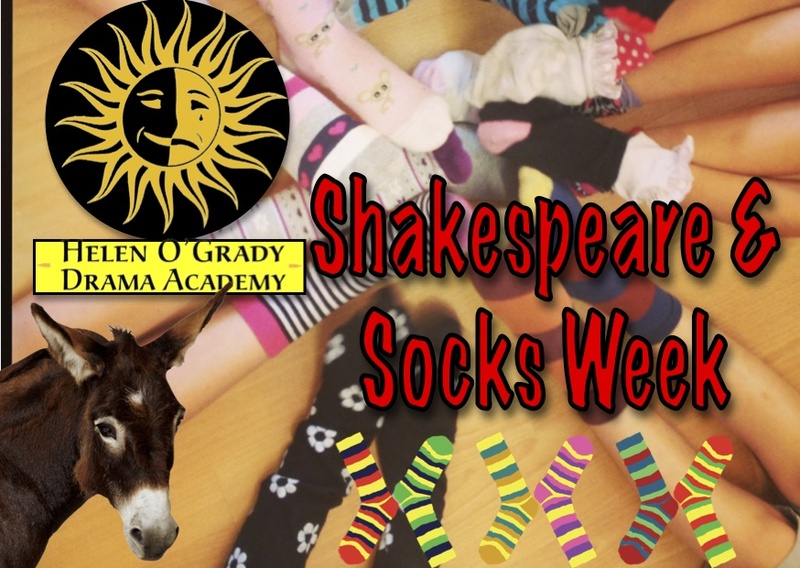 Shakespeare and Socks week fuses National Shakespeare Week (http://www.shakespeareweek.org.uk/events/) with World Down Syndrome Day (http://www.worlddownsyndromeday.org/lots-of-socks). We will have lots of fun creating Shakespearean insults as well as acting out sections of “The Tempest”. Students can bring friends to join in the fun too! Dressing for the occasion Shakespearean-style was done by wearing a tabard & trousers or long dress for instance, or by wearing lots of socks to support Word Downs Syndrome Day, which we will be collecting for. Tucking trousers or leggings in socks fused both ideas. If you’re not currently a member of one of our classes, call us on 01689 812336 or email bromley@helenogrady.co.uk to book in a Free Trial .